Home > Can you afford to miss this? It’s just two days until the UK’s only baby trade show – Harrogate International Nursery Fair – providing retailers and buyers the ONLY event in the UK where they can source the latest new baby products. Looking for car seats, prams and pushchairs, cribs and cots, baby bedding and nursery furniture, feeding and bathing equipment, safety products, toys, gifts – in fact any product for pregnancy and baby and children up to five years? Then Harrogate International Nursery Fair is THE show for you. If you are still uncertain about whether or not to attend – how about the chance to save hundreds of pounds on your 2018 stock? And maybe the opportunity to win some free products for your store? Many exhibitors have exclusive show offers with large discounts on orders placed at the show and free prize draws. Also, if you like to let your hair down and have some fun with industry colleagues, don’t miss BabyStyle’s after show party on Sunday at 5.00pm with a free Gin bar – everyone is welcome. The MIMOS Pillow offers a safe, comfortable alternative to the expensive helmet treatment use to correct flat-head-syndrome. While the helmet cost around £2000, our pillow is a fraction of the cost with clinically proven results. 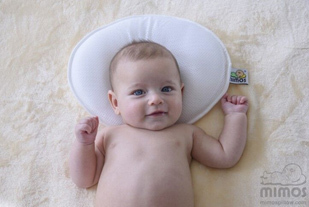 Extensively tested for breathability making it the first and only safe pillow for baby use. Many mums would give anything to help their baby to sleep at night, and Mummy Loves Organics has just the answer. 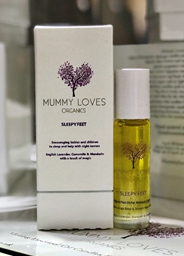 It’s organic foot oil is designed specifically to help babies and children sleep, made with the purest essential oils of English Lavender, Camomile, Mandarin and a touch of magic. This clever foot oil encourages sleep and combats night terrors and quickly comes part of a child’s bedtime routine. The Safe Nights collection from Silent Night Group includes everything you need to get little ones prepared for a great night’s sleep. Including fitted sheets for Moses baskets, crib, cot and cot bed sizes as well as hooded towels for bath time and sleep bags for bedtime. All products are lovingly made with breathable fabric to help keep little ones at just the right temperature. Featuring beautiful and modern star prints available in pink, grey and duck egg, which is new for 2018.